Ireland is an island in the North Atlantic. It is separated from Great Britain to its east by the North Channel, the Irish Sea, and St George's Channel. Ireland is the second-largest island of the British Isles, the third-largest in Europe. The island's geography comprises relatively low-lying mountains surrounding a central plain, with several navigable rivers ending inland. The island has lush vegetation, a product of its mild but changeable climate which avoids extremes in temperature. 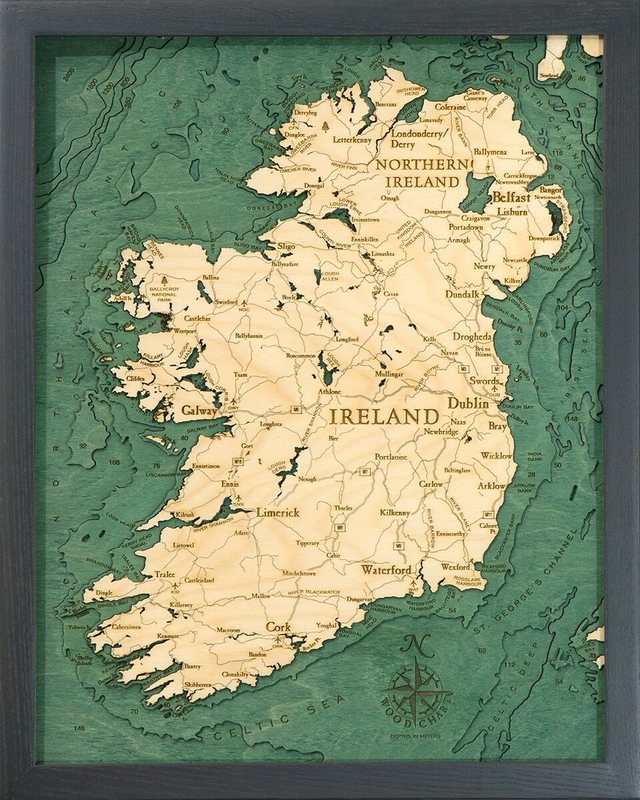 When you’re searching for unique gift ideas for those who love the water, love maps and Ireland, look no further than a 3D nautical wood map of Ireland. Our laser cut charts are framed, crystal-clear acrylic covered, 3D bathymetric charts carved in Baltic Birch wood. These maps depict the shoreline and bottom contours of the coast of Ireland, and they show precise shorelines, depths, landmarks and lettering. Special finishing techniques bring out the natural grain of the Baltic Birch. 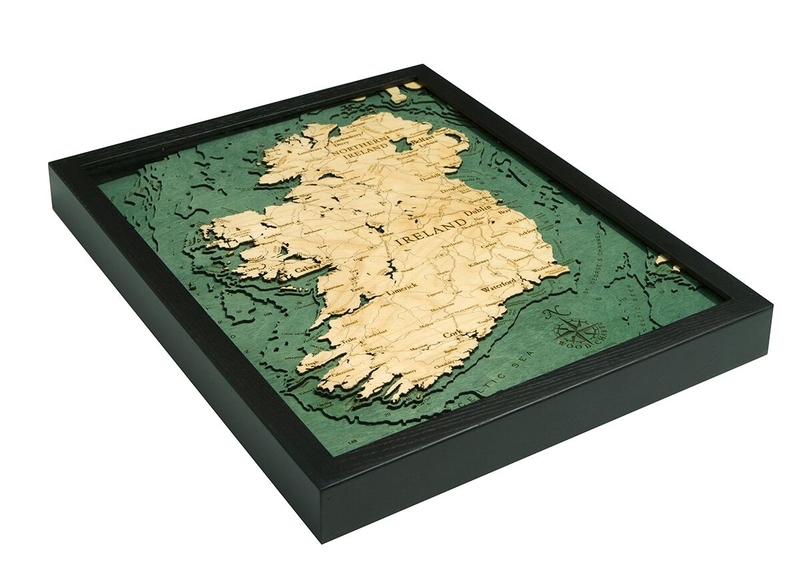 For the most detailed and lowest priced 3D nautical wood map of Ireland on the market, look no further than Carved Lake Art. Order your solid-wood framed and ready-to-hang bathymetric wood chart today, or contact us if you have questions! Carved Lake Art is here to help. I look at this every morning, Reminds me of my brother living in Ireland!